Last week I had the pleasure of hearing Professor Donna Cross present on wide range of issues pertaining to wellbeing, and in particular student wellbeing. Professor Cross presented some interesting perspectives from her work with children and adolescents. 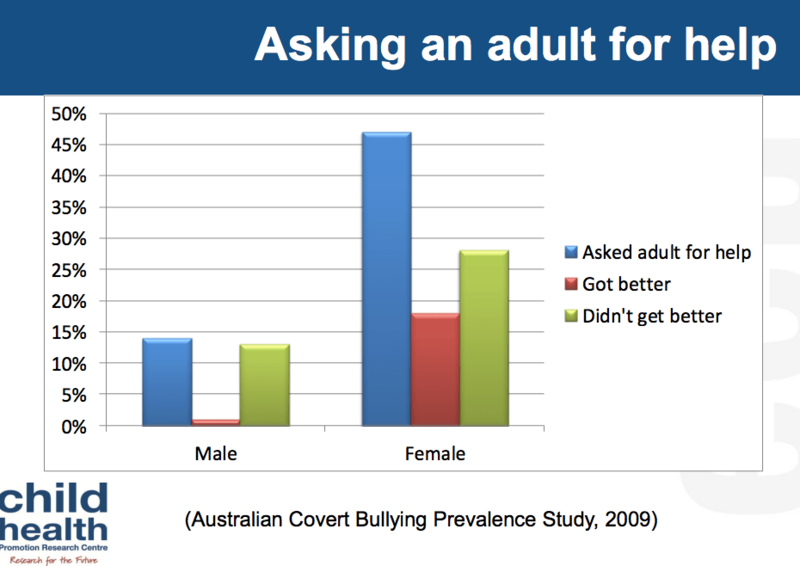 One perspective that I found particularly compelling – given the media attention around bullying in schools in Australia at the moment, with this article in the Daily Telegraph and the ABC planning to air The Bully Project hosted by former Olympian Ian Thorpe – was around help-seeking behaviours in instances of bullying. Two glaring issues are apparent. First of all, the rate at which kids seek help. Less than 15% of boys who said they were dealing with an issue sought help from an adult, whilst less than half girls dealing with an issue chose to seek help. But perhaps even more of an issue is the rate at which kids stated asking an adult for help didn’t actually improve the situation. To address this, Professor Cross suggested we adopt the LATE model when talking to kids seeking help. The LATE model is an approach adapted from the work from Michael Tunnecliffe. Actively listen, and ensuring that adults do not engage in behaviours that imply we don’t have time to fully listen to the child’s concern. Regardless of whether we believe it should be a cause of concern for the child, we need to acknowledge that it is. Even throw-away lines like, “Oh don’t worry about it” can imply to kids we’re not taking them seriously. This is most powerful when the child comes up with the options. We can facilitate a conversation that explores the pros and cons of each option, but as with most things, when the individual comes up with a solution, they are more likely to put that into action. Encouraging the child to put into action what has been discussed and setting a time for a follow up chat is essential. Also acknowledging again that, whilst it doesn’t guarantee success, they did the right thing by seeking help. 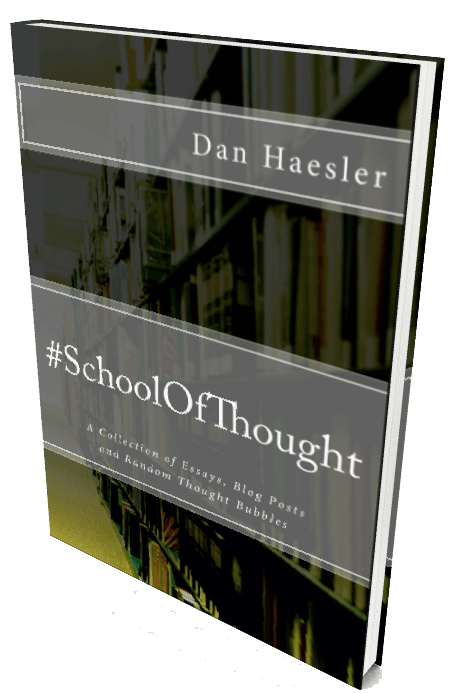 This link talks about the LATE model in more detail in schools, and includes the notion of confidentiality as students really aren’t keen on the thought of them being the topic of staffroom discussion. But I think the LATE model offers any adult – a parent or other family member, teacher, coach – a simple way to better engage with youngsters when they seek our help. Furthermore, it’s pretty good model to use when anyone – young or old, family member or work colleague – needs our assistance. *The slide used above is available in this presentation. Great article Dan. What you’ve described here reminds me a little of solution focused coaching models, which I’ve been playing around with a little in my interaction with children. The practice of acknowledging the feelings is really vital, IMO. I think its also helpful to ask the child what outcome they would like to see happen, and after generating options and providing encouragement, checking in with the child to see if they feel the problem has been adequately resolved. Hi Corinne, thanks for the comment… yep I nearly linked to something on GROW coaching as the same thing occurred to me. There’s certainly a lot of power in coaching I think… cheers again! Forwarding to our Student Wellbeing leaders now (who should already be subscribed to your blog!). Cheers. Thanks for the comment! And the PR work with your wellbeing leaders! Much appreciated! As I remarked to Corinne, there is a great deal of power in coaching for adults and young people a like I believe. I saw Donna last year and she presented the same data and the LATE approach. She also talked about resilience and how schools can be the most valuable environment where we can build resilience in young people when their parents are risk-averse or rescue them on a daily basis. I really enjoyed her approach and the practical examples she provided. Your post has reminded me to return to my notes and again share these key points with my peers. Thanks! Thanks for taking the time to comment. I too have found Donna to be very practical in her advice, and anything schools can do to enhance resilience should be considered imo.